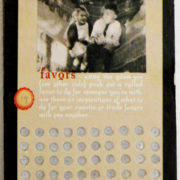 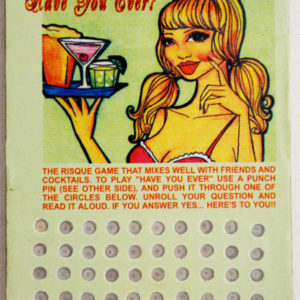 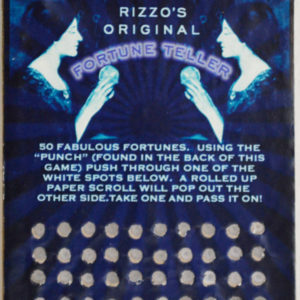 Punch Cards or Punch Boxes have been around since the 1920’s. They are a 3 x 4 cardboard tile with a honeycomb set of 50 holes. 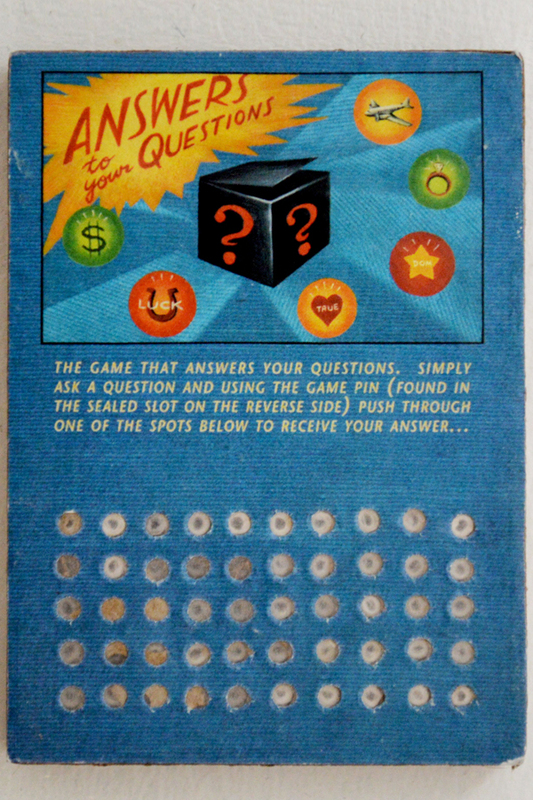 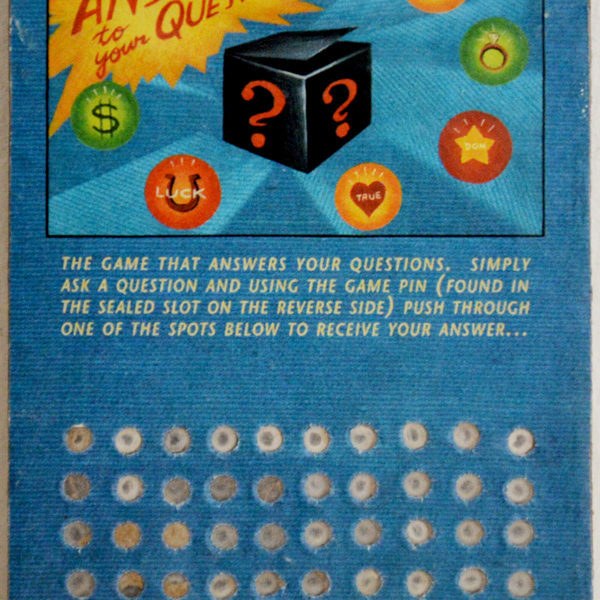 Each hole has a rolled up scroll which in the Answers To Your Question version offers an exercise or riddle to solve in order to get a “yes” or “no” (if you hear a dog bark in the next minute, the answer is yes). 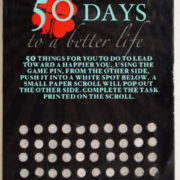 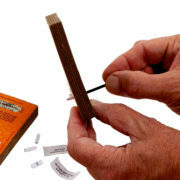 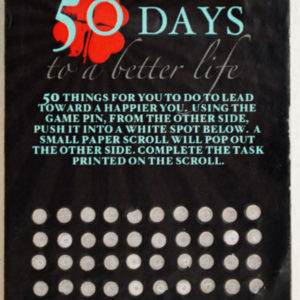 Each punch card comes with two rigid pins that are used to push out scrolls.